From the humble beginnings as the protocol for the Internet for enterprise customers, IP has today developed into the protocol of choice for convergence of Voice, Video and Data networks for service. The emergence of ubiquitous network service concept for any device, any time and anywhere need Next Generation IP Network as the foundation for deployment of such services. 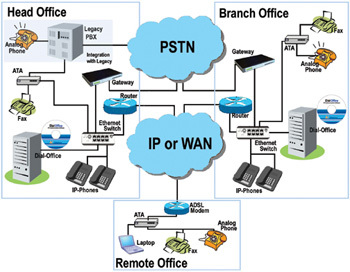 ETPL has identified the need and requirements of Next Generation IP Networks and provide a suite of services for implementing IP MPLS-based and IP Sec VPN, IPv6 and IP Multimedia Subsystems (IMS) based Soft Switches. ETPL has partnered with world leaders such as Cisco Systems Inc and SysMaster to meet the requirements of Next Generation IP Networks of any Enterprise or Service Provider customer.